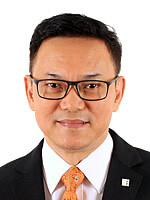 How New Seng joined in July 2015 as Operations Director and was appointed Chief Operating Officer in December 2015, before also taking over the role of Managing Director in April 2016. In his almost three decades in the electronics industry, he has delivered strategic leadership in roles across engineering, R&D, facilities management, and manufacturing, and drove strong improvements in business development and company governance. 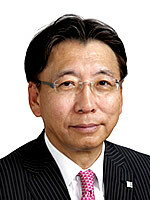 Effective January 1, 2017, he was appointed Group Managing Director and Chief Executive Officer of EDMI Limited as well as Executive Director of Osaki United International. Mr. How will bring together experienced teams to shape EDMI group into attaining new heights in technology. 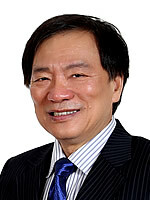 Mr. How holds a Bachelor in Engineering (Hons) awarded by the National University of Singapore. 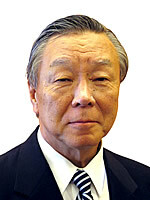 He held various engineering and senior management positions in AMD, Fairchild Semiconductor and Spectrum Integrated Technologies prior to joining EDMI. 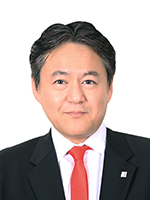 Kiyoshi (Kevin) Shiina joined EDMI in August 2015, as Chief Financial Officer, with a responsibility of finance and accounting as well as financial control and planning. 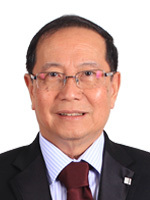 Mr. Shiina brings with him more than 30 years of experience in controller function of business units, as well as management of regional headquarters in the electronics industry. He has worked in more than 30 countries, including 14-year expatriate assignment in USA, UK and Korea, and several-month stays in Thailand, Indonesia and Turkey. He has previously held management positions in the Regional Headquarters of Latin America and Global Treasury Centre in Sony Corporation. 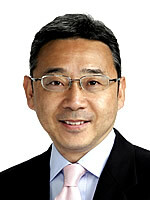 Also, he has taken a role of CFO of overseas sales & marketing operations of Acer Inc. as well as that of Sony. Mr. Shiina graduated with Bachelor of International Law from Keio Gijyuku University in Japan, and is equipped with a qualification as a US Certified Professional Accountant. Since joining EDMI in 1994, Ivan Barron has been a significant contributor to EDMI’s main product lines, leading product development teams to create the Genius and Atlas meter ranges, and cementing his credentials as an international innovator. As Chief Technology Officer, Mr. Barron continues his sterling work developing EDMI’s technologies and technical capabilities and is responsible for setting the Group’s technology direction. Mr. Barron holds an Honours degree in Electrical Engineering from the University of Queensland, Australia. Hamdani Azali joined EDMI in November 2016 as Senior Vice President, Manufacturing & Engineering. Mr. Azali brings with him a wealth of experience in engineering and design from his years in metering industry, where he held senior regional positions. 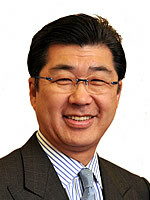 He will lead Manufacturing Business Unit in manufacturing design and lean manufacturing. 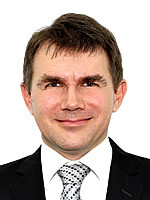 His portfolio also includes product planning, order management, purchasing and R&D in China, focusing on product management. Mr. Azali holds a Bachelor of Engineering in Electronics from Christian University of Indonesia. Starting almost 20 years ago with EDMI as an electrical engineer, Andrew Thomas has grown with the company and now adds a wealth of international metering knowledge to his EDMI heritage. During his years in the energy industry, Mr. Thomas has succeeded in a wide range of roles from R&D and project delivery to management of sales and support functions. Before rejoining EDMI in 2011, Mr. Thomas was Technical Director at the largest independent service provider of smart metering services in the UK market. 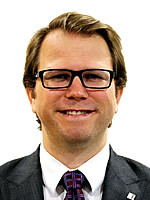 As Executive Director, EDMI Australasia, Mr. Thomas is responsible for the Australian and New Zealand businesses including strategy, sales and operations. He is also appointed Chief Marketing Officer in October 2018 to expand role in driving strategic marketing initiatives for the group. Mr. Thomas holds a first class Honours degree in Engineering from University of Queensland, where he was awarded a University Medal. 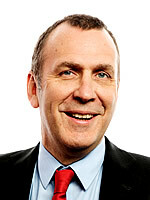 Alan Masterman joined EDMI in March 2016 as the Managing Director of EDMI Europe and has responsibility for sales and operations across Europe. Mr. Masterman has over 20 years of management experience in operations, supply chain, engineering and product development; most recently at Telefonica where he was directly responsible for the delivery of the Communications Hub project for the UK smart metering programme. Mr. Masterman has a degree in Business Studies from Manchester Metropolitan University. 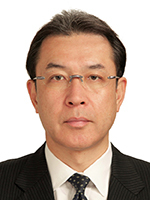 Mihou Munakata joined EDMI in February 2017 as a Vice President, and was appointed as Senior Vice President in July 2017, with the responsibility for global gas operations of the group. Dr. Munakata brings more than 20 years of international experience across gas related R&D, product development and business strategies. He gained multiple disciplines through taking roles in Renewable Energies, Flow Measurement industries, where he held senior regional positions. 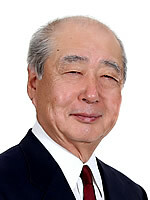 Dr. Munakata holds a Bachelor of Engineering degree from Tohoku University, a Master of Business Administration degree from Cranfield University, and a PhD in Engineering from the University of Nottingham.